Chart No. 16 - The Primal Energy Currents of Life as the Three Doshas of Ayurved [Ayurveda]: 1. Warmth, Fire, Male, Positive; 2. Moisture, Water, Female, Negative; 3. Oxygen, Air, Neuter [Neutral]. The embryonic pattern of life energy can be traced in the body by geometric lines of force radiation like the atom, and by structural correspondence of proportions of superior, middle and inferior fields as well as polarity reaction in these fields. See Charts 1, 2, 3, 4, 5, 6, 7, 8 in Wireless Anatomy. Three currents - positive, negative and neuter [neutral] - called gunas or doshas in the ayurvedic system, operate in the three dimensions of space and build all forms and bodies, nature's way. This is the energy play in finer substance, like the atomic charge of positive and negative around a neuter [neutral] center or nucleus. This is a new approach to the healing art, explaining the fields and the wireless energy which built the body and sustains it. Specific functions and motions are evolved from this simple beginning into a complex whole. In space it is superior, middle and inferior or height, breadth and thickness in which energy plays and brings forth forms. 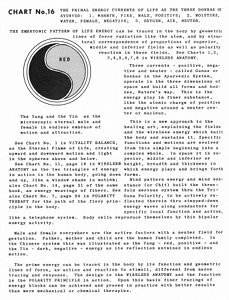 Mind pattern energy and mind substance (or chit) built the three-fold nervous system thru [through] the tri-guna polarity, to be actively reflected therein thru [through] stepped-down energy waves along conductors for specific local function and action, like a telephone system. Body cells reproduce themselves by this bipolar energy activity. Male and female everywhere are the active factors with a neuter [neutral] field for gestation. Father, mother and child are the human family completed. 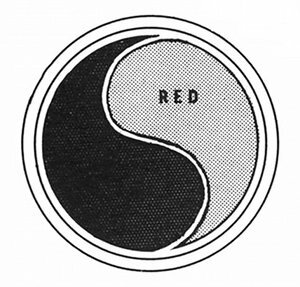 In the Chinese system this was illustrated as the yang - red, positive - and the yin - dark, negative - energy as its reflection entwined in endless motion. The prime energy can be traced in the body by its function and geometric lines of force, as action and reaction to stimuli, different from nerve tracing and response. The design is the wireless anatomy and the function is the polarity principle in action. Upon this basis finer tracings of energy blocks can be achieved and proved in practice with better results than mere mechanical or chemical therapies. 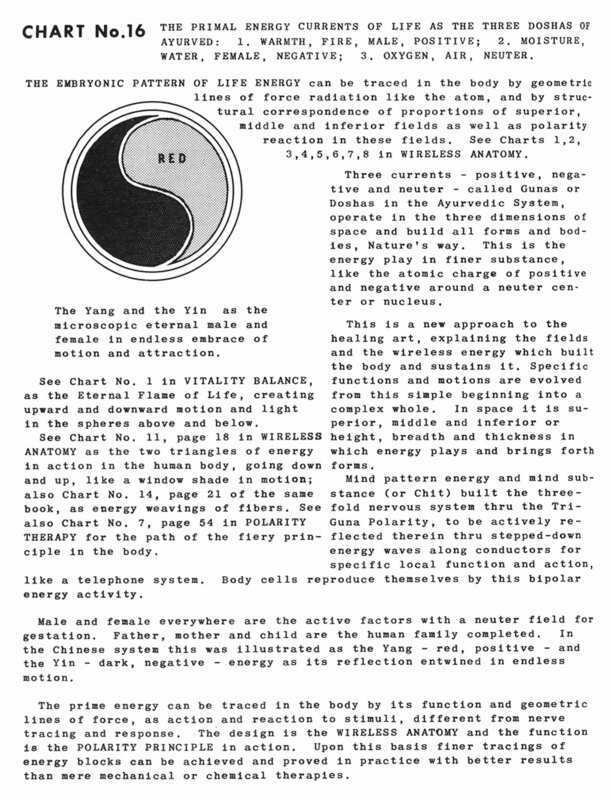 The yang and the yin as the microscopic eternal male and female in endless embrace of motion and attraction. See Chart No. 1 in Vitality Balance, as the eternal flame of life, creating upward and downward motion and light in the spheres above and below. See Chart No. 11, page 18 in Wireless Anatomy as the two triangles of energy in action in the human body, going down and up, like a window shade in motion; also Chart No. 14, page 21 of the same book, as energy weavings of fibers. See also Chart No. 7, page 54 in Polarity Therapy for the path of the fiery principle in the body.